We dream of a time when all students will be confident, capable readers and writers. When we teach students to read as writers using mentor texts, we awaken that dream and make it real. Imagine the power of providing students with books that show them their faces, their culture, their lives on every page. 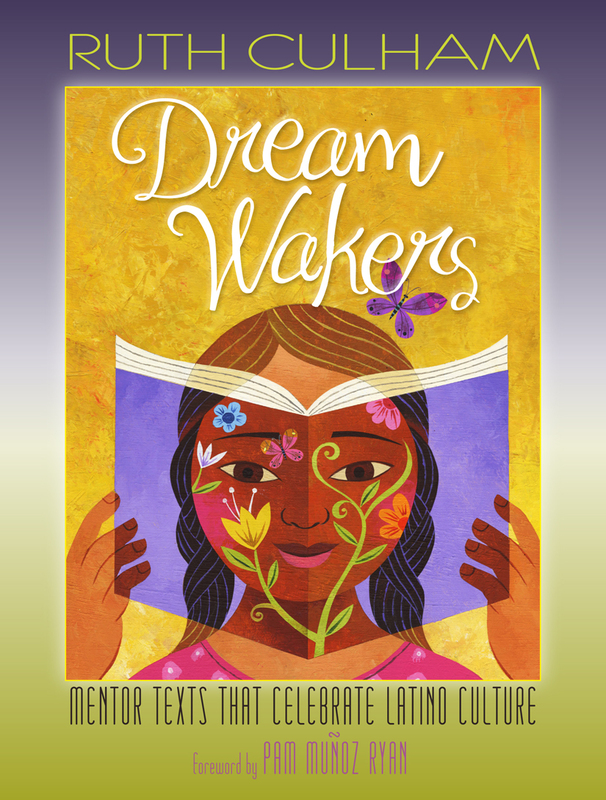 And imagine how every classroom’s collection of mentor texts can grow by adding books that celebrate diversity. An annotated list of more than 120 books with do-it-today lesson ideas for teaching the traits of writing—Ideas, Organization, Voice, Word Choice, Sentence Fluency, and Conventions. More than half of the books listed are bilingual or offer English and/or Spanish editions. A handy reference chart that helps teachers locate books quickly by trait, genre, language, and author/publisher information. 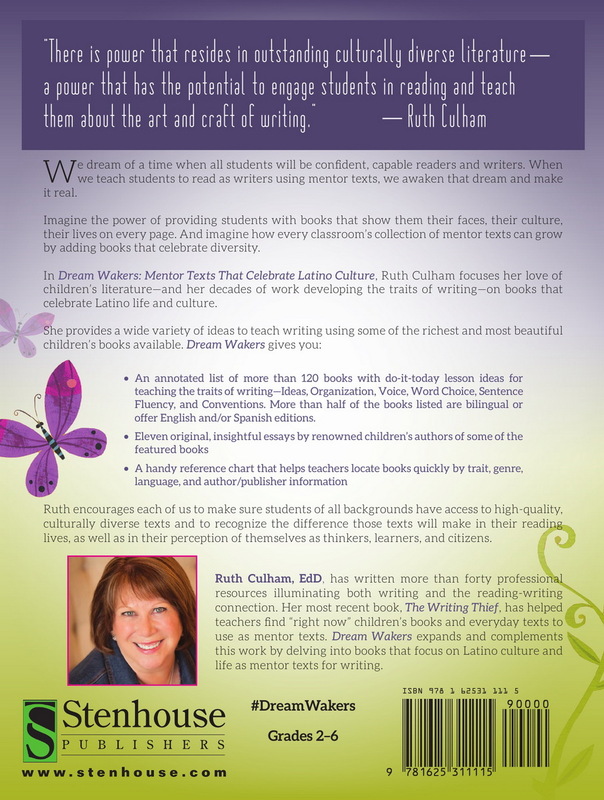 Ruth encourages all of us to make sure students of all backgrounds have access to high-quality, culturally diverse texts and recognize the difference those texts will make in their reading lives, as well as in their perception of themselves as a thinkers, learners, and citizens.